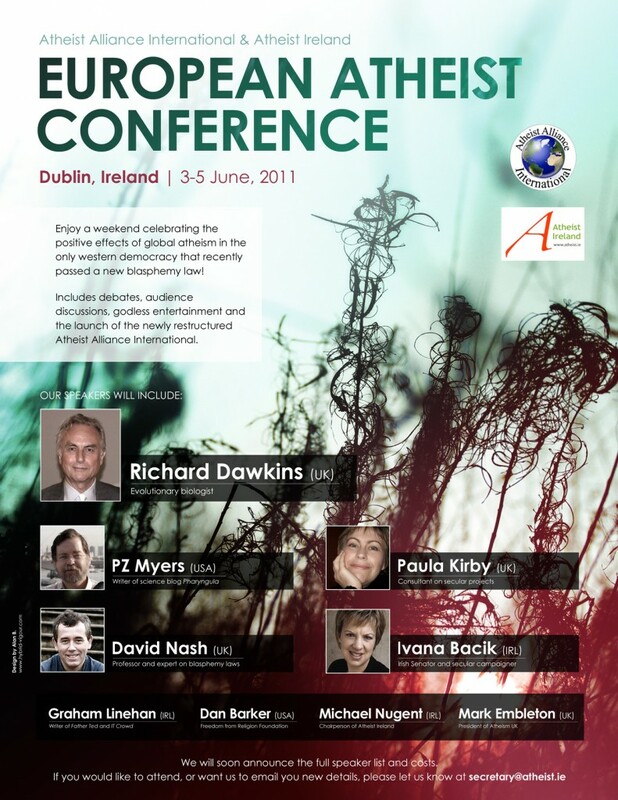 Atheist Ireland is proud to be hosting the 2011 Atheist Alliance International Conference in Europe. We will keep you posted as soon as the full program and other details are confirmed. Prof Dawkins is not speaking on behalf of science which has no opinion on matters not falsifiable but on behalf of scientism, the Belief System that science can or should be able to explain everything. 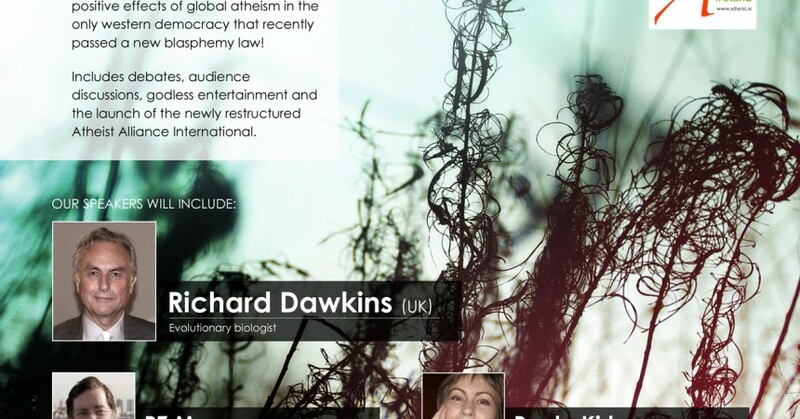 Prof Dawkins is revealed as just another Believer. These are not original ideas from me but from various philosophers (many unbelievers) with a more sophisticated understanding of history and philiosophy than Prof Dawkins.